These are what I call no-fuss-guilt-free cookies! Made in five minutes flat! They are made with no added sugar, no eggs, no butter or milk and no flour! Well, you can make them totally guilt free if you omit the choc chips, although I have to admit that they are even more delicious with these added! I made mine with dried cranberries, pecans and white choc chips, but you can use whatever nuts or dried fruit you like. I am sure they will be just as yummy! 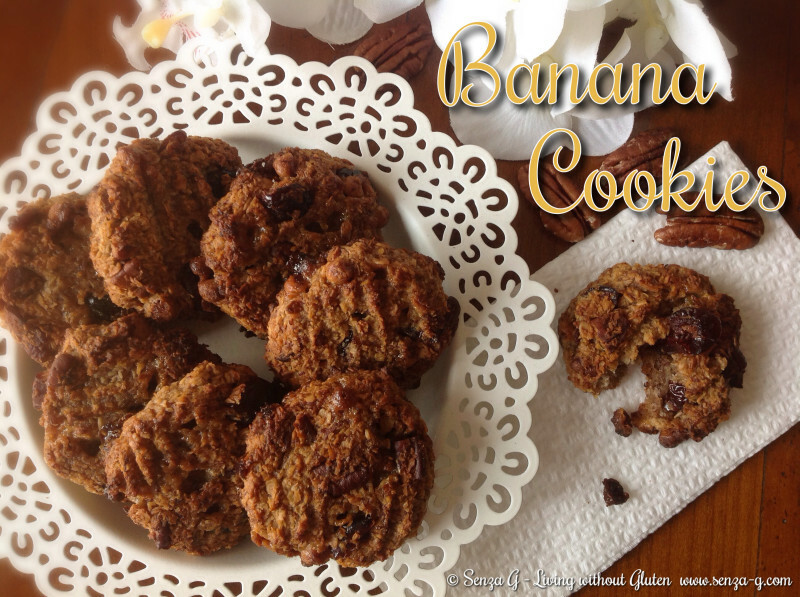 And the best thing about these cookies is that they are so healthy – perfect for breakfast! Preheat oven to 160C. Line a baking sheet with baking paper. Combine the oats, coconut, salt, cinnamon, chocolate chips, your choice of nuts and dried fruit that you are using in a medium bowl. Set aside. In a separate bowl, stir together the mashed bananas, honey, vanilla, and coconut oil. Add this to the dry ingredients and stir well until combined. Take tablespoons of the mixture and form the cookies by hand, pressing down slightly with a fork. You can make them any size you wish. These cookies do not spread in the oven. Bake for 20-25 minutes, or until they start turning golden brown. Cool on baking sheet.